Today I am going to finally share what has been going on with me for the past two months. I’ve alluded to having issues with my health, but that I’m not sick, not sad, and not pregnant. You probably already know from the title of this post, but I am losing my hearing. For the past few years, I have noticed more and more that I have a hard time understanding people when they talk. Especially on the phone, with background noise, and when talking in a group. This has led to some hard times for me at work, and a couple of fights with Dave who thought I was ignoring him. I made a vow to myself that I wouldn’t go another year without getting this checked out. So, I made an appointment in the middle of January to get my hearing tested by an audiologist. I left that appointment with a diagnosis of a sensorineural loss, and the knowledge that I am a hearing aid candidate. 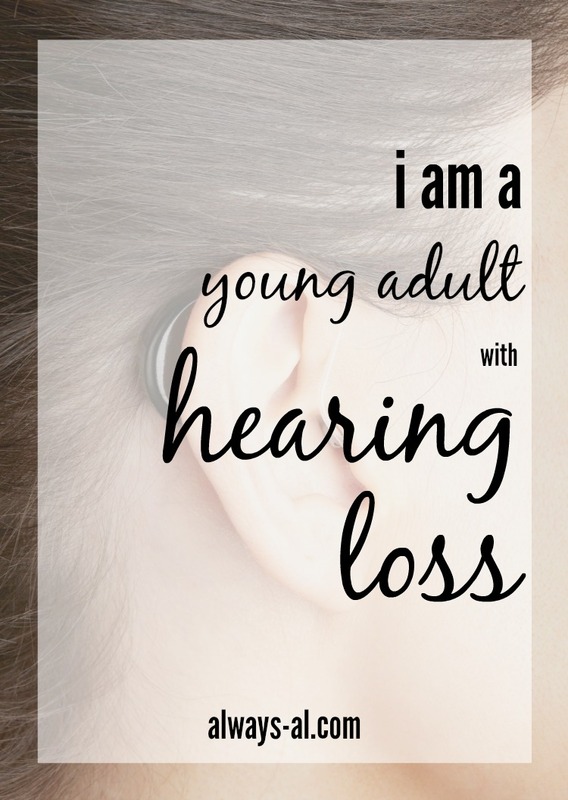 I am considered a “young adult with hearing loss.” It was a lot to take in. I honestly thought that I would go in, and they would pull out a glob of earwax from each ear, and it would be fixed. I wanted to get a second opinion, and not just go spend thousands of dollars on hearing aids after one appointment, so I made an appointment for a second audiogram at the local teaching hospital. I got the same result there, and they were especially interested in the possible connection between migraines and my hearing loss. I was scheduled for an ENT appointment on Feb. 24th, where they ruled out some things, and confirmed their theory that I have a congenital loss. They ordered some genetic testing, as well as a CAT scan of my head to look at my temporal bone formation. The ENT wants to locate what gene is causing this loss, so they can understand the progression better for the future. My specific type of hearing loss is referred to as a “cookie bite loss,” because I can hear high and low pitches but not middle pitches very well. That name comes from the shape of the audiogram results. The part that stinks about it is that middle pitches are where our speech lies. Cookie bite loss is 90% of the time genetic, and is one of the hardest to treat with normal hearing aids. I had a hearing aid consult last Friday, where we looked in to some options for me. It was something that I was anxious about, because hearing aids are so expensive, and I had to choose the devices that I’ll be wearing for the next 3 to 5 years. Of course this whole time my mind has been jumping around. Will I pass it on to my children? Should I learn ASL? Why doesn’t insurance freaking cover anything for people with hearing loss - how is that any different than glasses? Most of the time I am in good spirits. I remind myself that I don’t have a disease. I don’t need surgery. I’m not dying. Everything is going to be fine. This is just a bump in the road. So while I still have a long road ahead, I am optimistic. My quality of life is going to improve so much with my hearing aids. I will be able to hang out with friends, and understand what people say. I won’t get that stupid feeling when I have to ask people to repeat themselves more than once. Everything is going to get better from here.